B.A. Hospitality Management is a 3-year full-time undergraduate program in Hospitality Management. The eligibility of the program is qualifying 10+2 with minimum aggregate marks in any relevant stream from a recognized university or board. Admission to the program is done on the basis of merit. However, some colleges may conduct their own entrance examination followed by personal interview for admission to the course. The average college fee charged for the program in India ranges from INR 4 to 6 Lacs for a span of 3 years. B.A. Hospitality Management is also referred to as Hotel Management, Hotel Administration or Hotel and Tourism Management. The course offers students a broad perspective of the subject in specialty areas such as lodging and facilities management, food and beverage industry, event management and tourism industry. Candidates are conferred with the skills of enhancing their interpersonal skills including communication skills, negotiation and working as a team. The course opens to candidates a wide range of prospects in various department of the hospitality industry. After the successful completion of B.A. Hospitality Management program, candidates are hired as Catering Managers, Meeting and Event Planner, Food Service Manager, Sales Manager, Assistant Food and Beverage Manager, Catering Officer and other positions surrounding the field of Hospitality and work at Resorts, Restaurants, Tourism, HealthCare sectors and much more. 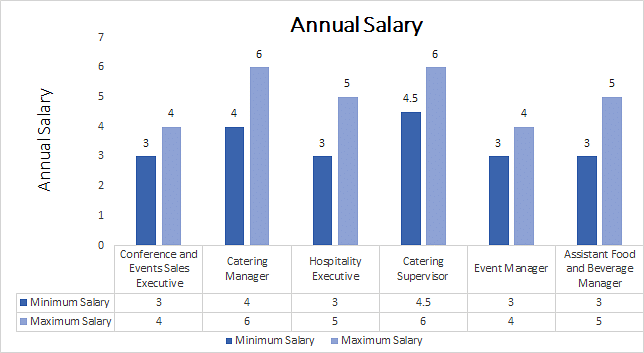 The average remuneration earned by candidates ranges from INR 3 to 6 lacs per annum, this is, however, bond to increase by doing masters and earning more experience. Eligibility Qualifying 10+2 with 50% aggregate and above in any relevant stream from a recognized university/ Passing entrance examination. Top Recruiting Companies Hotels, Restaurants, Resorts, Event and Facility Management Companies, etc. Job Positions Hospitality Executive, Assistant Food, and Beverage Manager, Catering Manager, Catering Supervisor, etc. B.A. Hospitality Management: What is it About? Hospitality industry deals primarily with all the dimensions related to operating with clients and developing customer service. B.A. Hospitality Management course underpins the technicalities involved in the field of Hospitality wherein the students are enabled the skills of leadership and effective communication. Candidates through this program are introduced to the technicalities through participation in practical activities. Hospitality management also includes the sectors of Hotel Management, Tourism, Catering, and Travel industry. Candidates learn the fundamentals of customer service, gain more intricate knowledge of event management, culinary arts from an international perspective of the hospitality industry. B.A. Hospitality Management course lays strong grounds for those who wish to gain a further qualification in the specialized field by opting for masters and research program opening more prospects for the future. The course is divided into theory and projects revolving around the different dimensions of the hospitality industry. The course is structured in a manner which imbibes in students the necessary skills of communication, food service knowledge and details about the ever-changing and fast-paced industry of hospitality management. B.A. Hospitality Management candidates gain the skills of multitasking, learn creative ways of problem-solving and develop in them the methodologies of constructing newer strategies to stay ahead in this competitive industry. B.A. Hospitality Management renders the students a plethora of opportunities on the career front to choose from in areas of hotels, restaurant, travel, event, and tourism sectors. With a rise in tourism and hotel industry, the need for manpower who can render effective business to the industry, customer care service and aid in raising the sale is on a verge. Candidates post the completion of the program get the opportunity to play varied ranges of roles and sectors in and across India and the globe. Candidates who have passed 10+2 in any relevant stream with a minimum of 50% aggregate from a recognized university are eligible for admission. Some reputed colleges may conduct their own entrance examination for admission to the course. Admission to B.A. Hospitality Management is done on Merit obtained in qualifying examination. However, the admission process varies from institution to institution. The basic eligibility for the program is passing 10+2 with 50% marks in any relevant stream from a recognized university or board. However, some reputed colleges may consider the marks of entrance examination followed by personal interview for admission to the program. Candidates can obtain the application forms both online as well as offline. All important information about the dates of admission, merit list and everything concerning admission will be notified on the official website of the college/ university or notified through email. B.A. Hospitality Management trains candidates by instilling in them the skills of problem-solving, analytical and critical thinking, upgrading their interpersonal skills, as well as polishing their computer skills. The course builds in the candidates the acumen to conduct meetings, solve client issues and carry out the various work related to the Hospitality field. B.A. Hospitality Management curriculum consists of classroom lectures and practice which includes projects, preparing spreadsheets and databases, presentations and attending seminars conducted by industry experts. The bachelor’s program takes students through the general understanding of marketing, organizational behavior, finance management, business law and much more. Core topics include hospitality facility management, catering management, security and loss prevention, special event marketing and so on. ** The Syllabus of the program is subject to vary for different colleges. Students after completing their under-graduation program of BA in Hospitality Management are trained to explore their knowledge in different fields pertaining to Hospitality and Hotel Management. They are competent to be hired as Catering Managers, Lodging Managers, Assistant Food and Beverage Manager, Event Manager, Hospitality Executive, Catering Officer, Conference & Event Sales Executive and much more. They can seek employment in the areas such as Hotels, Restaurants, Resorts, Event and Facility Management Companies, Healthcare Sectors and much more.